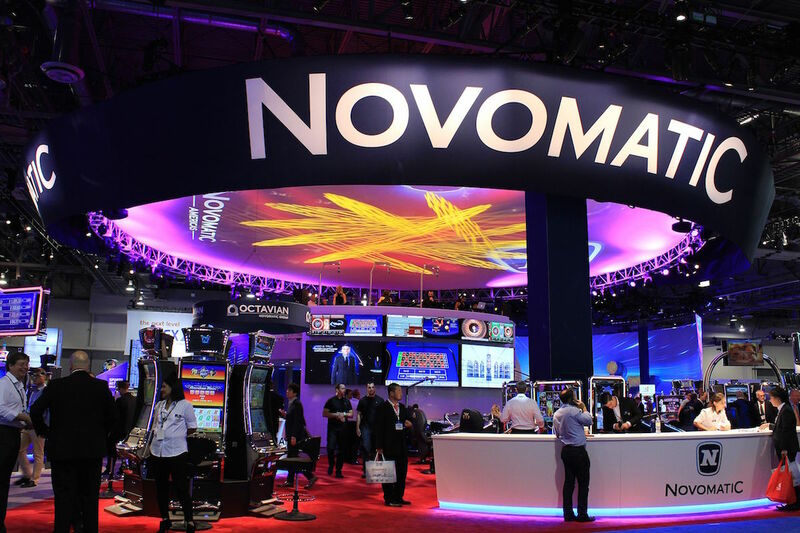 As Novomatic continues to gain traction in North America, the company retakes it multi-level booth at G2E 2016 with a host of new cabinets and game mixes ready to excite local players. The full V.I.P. suite will be previewed in the US for the first time, with a showcase that includes the Novostar® V.I.P. II and V.I.P. III, the Novostar® V.I.P. Royal and V.I.P. Lounge™. In addition, the Executive SL™ will be returning to the show and the brand new Gaminator® Scorpion will make its US debut. Following last year’s introduction of the Novostar® V.I.P. II in the US, the new range of V.I.P. machines delivers multiple options to create unparalleled Very Important Player experiences on the casino floor. At G2E, Novomatic Americas will shine a spotlight on the ‘V.I.P. Lounge’ immersive entertainment experience. The Novostar® V.I.P. III, which boasts two giant 50” screens, and the Novostar® V.I.P. Royal, with a giant curved 65” screen, will be rolled out to selected US jurisdictions soon after G2E. The Executive SL™ multiplayer terminal is built on the huge success of the Novostar® SL1 and heightens the electronic table gaming experience. 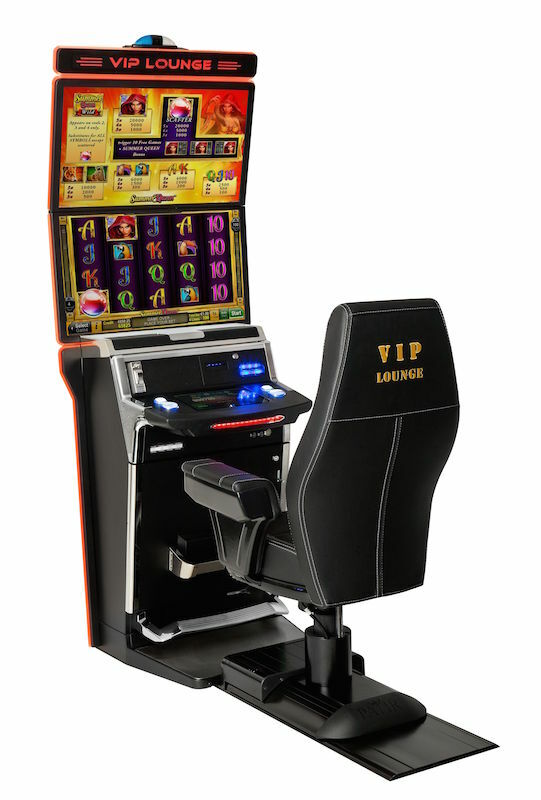 This leading cabinet will be displayed with virtual ‘Flying’ versions of Blackjack, Roulette, Baccarat, Sic Bo and Poker 3. The dealer-operated Novo TouchBet® Live-Roulette, together with automated Novo Multi-Roulette™ and Novo Flying Roulette™, as well as Baccarat and Blackjack games, will be connected on the terminals to demonstrate Simultaneous Betting™ functionality live at the show. Highlighting the Novomatic Americas G2E experience are cutting-edge games, developed specifically for the North American market which include the premiering Tales of Darkness™ series with four hypnotic themes – Full Moon™, Luna Eclipse™, Break of Dawn™ and Midnight Heat™. An expansive selection of new titles being released for the US will also feature at G2E and include Black Jaguar™, Dancing Dragon™, Orca™, Asian Fortunes™, Pure Jewels Extreme™ and JackPop! Popular with operators and players alike, the Novo Line™ Interactive games are now available as Jackpot Edition™ titles for the US and are set to make a standout impression at the show. Players collect extra coins with every spin of the reels until a tray holding them flips over and gives way to the Jackpot Chance, a Pick & Win feature where players open treasure chests to reveal extra credits or the Jackpot Coin that triggers the Jackpot Game. The World Championship of Slots™ (WCOS) will be presented on ten industry-leading cabinets at G2E. The television show and innovative casino slot tournament add a never before seen competitive spirit to a casino floor. The compelling ‘Gamble’ feature and ‘I’m on TV’ factor give players a unique reason to visit their preferred entertainment destination. Operators can create a highly coveted, customized brand experience, entertain thousands of players with competitive qualifying events and award life-changing prizes – on live TV. 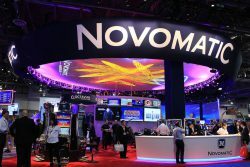 Since opening a North American headquarters and US Game Development Studio in Illinois and strategically adding top-tier gaming expertise, Novomatic Americas is now in the lucrative position of showcasing internationally proven products combined with an impressive US-based design portfolio. G2E 2016, with the breadth of product displayed, will clearly demonstrate that by leveraging the global research and development resources of experienced teams both internationally and domestically, the company is passionately committed to being a fully integrated, strategic gaming partner in the US. In the international section of the booth, the Gaminator® Scorpion will make its first appearance at G2E in Las Vegas. The sophisticated new cabinet is set to be a global sensation with its bold design in a matte black finish. The Gaminator® Scorpion takes the gaming experience to the next level and effectively combines Novomatic’s proven concept of innovative design, modern aesthetics and advanced technology. Also attending will be representatives from the company’s Latin American subsidiaries including from Argentina, Chile, Colombia, Costa Rica, Guatemala, Honduras, Mexico, Panama, Paraguay and Peru, as well as from Europe and Asia. The ACP casino management system will be demonstrated by Octavian and show operators how to successfully manage their casino with a range of marketing, accounting and player tracking modules. The Novomatic Interactive division will be represented at G2E with a dedicated section at the front of the booth that will allow Greentube and Bluebat to showcase their latest online, mobile and social innovations for the market. Novomatic Lottery Solutions (NLS) and NOVOMATIC Sports Betting Solutions (NSBS) will also be at G2E to demonstrate a complete omni-channel solutions offering available across lotteries and sports betting industries.